alien rants: What does it mean to become a "Public Charge"? A public charge is someone who must rely on the government to take care of them. That clause has been around for 100 years, but our social programs have not. In 1890 there wasn’t a state welfare office or food stamps or a home insulation program. The safety net back then consisted of your neighbors, fellow immigrants from your home country, relatives or your church. You either made it or you went home. Now there are all sorts of programs designed to take care of the needy. But guess what? In the infinite wisdom of Washington they have excluded many of the entitlement programs, declaring that an immigrant can use these taxpayer-funded plans and still not violate the “public charge” clause. In other words, help yourself to the largesse of the United States and there is no penalty. State and local programs that are similar to the federal programs listed above are also generally not considered for public charge purposes. The rule seems to be that you can't hand an immigrant cash (unless it is TANF cash). 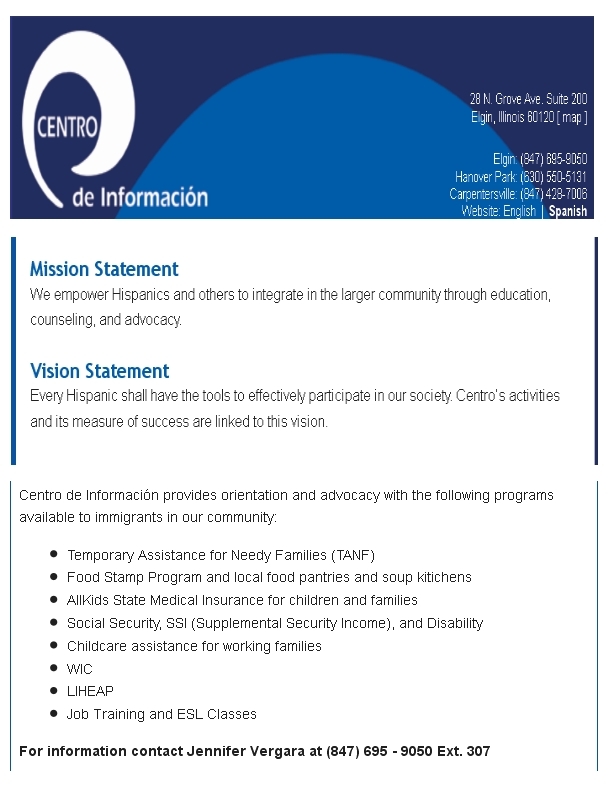 And we’ve got some do-gooder organizations like ICIRR (which receives government grants to operate) and Centro de Informacion that teach immigrants how to use the system. 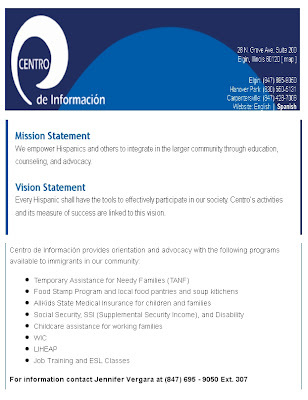 Below are a few snippets from the Centro website, encouraging immigrants to use public benefits.